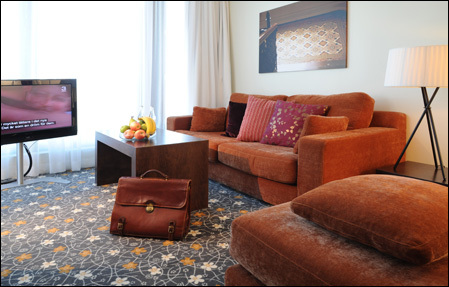 Grand Hotel Opera Gothenburg is very new and modern 4 star hotel that is located in the very heart of Gothenburg city. We have had the pleasure to look through all the hotel rooms at Grand Hotel Opera Gothenburg. 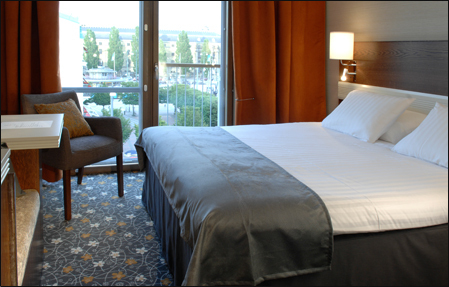 The hotel has as many as 8 different types of hotel rooms for you to choose from. From the Grand Hotel Opera Gothenburg you really have all the big attractions within walking distance however if you do not wish to walk you have the big and beautiful square called Drottningtorget (The Queens square) about 50m away from the hotel. At the Drottningtoget ( The Queens square) square you have a tram and bus station which connected with all parts of Gothenburg city. 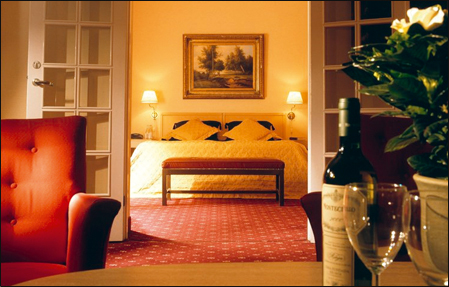 Book Your Room at Grand Hotel Opera Here! The hotel has a gourmet restaurant called Brasserie Opera which has an excellent a la carte menu. During they weekdays they also offer a first class lunch menu which is priced very good I must admit. If you would like to go for a swim or visit a gym during your stay at the Grand Hotel Opera Gothenburg you could do so in the hotels own spa/gym section. Here you have a simple breakdown of each hotel room together with a brief description. All the hotel rooms at the Grand Hotel Opera Gothenburg are equipped with safe, cable tv, mini-bar filled with goodies, very fast wireless internet, iron, hairdryer, towels. This room is modern and simple. The bed in the room has a width of 160cm and is very comfortable high end bed. All the Grand Business rooms offers a very nice city view. This room has the same interior design as the Grand Business room but is much larger and instead of a 160cm bed you can get two single beds in this room. The single beds are very comfortable as well. This hotel room is for you that wants a little bit more then just a nice hotel room. These rooms have their own balcony with a nice view of the city. The rooms are also fairly large. 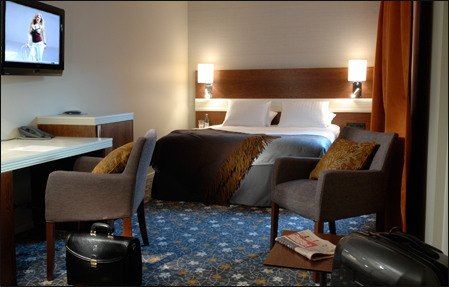 The beds are also of a different brand then the ones that you can find in the Grand Business and Grand Superior rooms. I told that the beds in the Grand De Luxe rooms are Swedish handmade high quality beds I however forgot to test them out when I was there but I can imagine they are very comfortable. 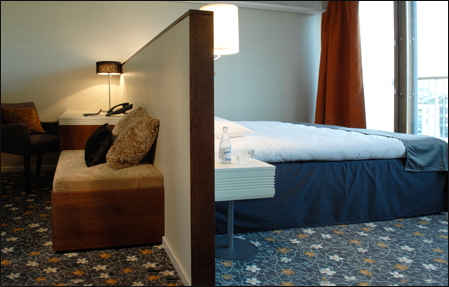 This room has a totally different interior design compared to all other rooms at the Grand Hotel Opera Gothenburg. This interior speaks modern Swedish design and luxury. In the beautiful bathroom you have a big jacuzzi with a funny and very wide window that offers a great view. Even though you have the window it’s still very private like a bathroom should be. The rest of the rooms at the Grand Hotel Opera Gothenburg are located in a seperate part of the hotel and have a more traditional “Grand Hotel” interior however they are slowly being modernized. We have seen all the old rooms and we do not recommend them except the suite which is very nice. For a tiny bit more you can have one of the above rooms which are modern and very comfortable.